2019 T-Shirt Design Contest is underway! 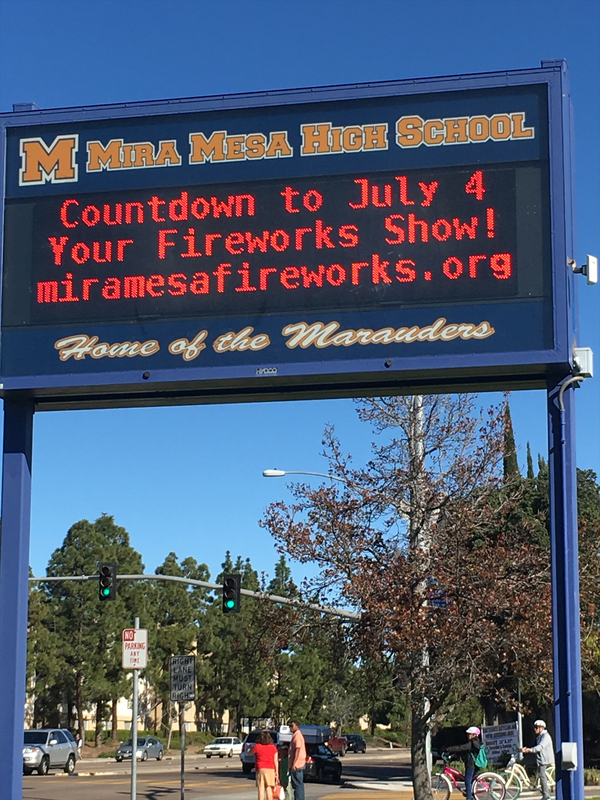 The fireworks show, which contains approximately 600 shells and is synchronized to music broadcast on KYXY radio, is launched from Mira Mesa High School. Mira Mesa Park, located across the street from Mira Mesa High School, provides a front row viewing area for the show. Nearby Mesa Verde Park provides an additional alternate viewing area for the show. Please visit the Mira Mesa Town Council Fourth of July event page for additional details and full celebration schedule. The SMF K-5 T-shirt Design Contest is underway! Enter Today! 2018 SMF K-5 T-shirt Design Contest Results! The SMF K-5 T-shirt Design Contest has completed! Order your T-shirt today! 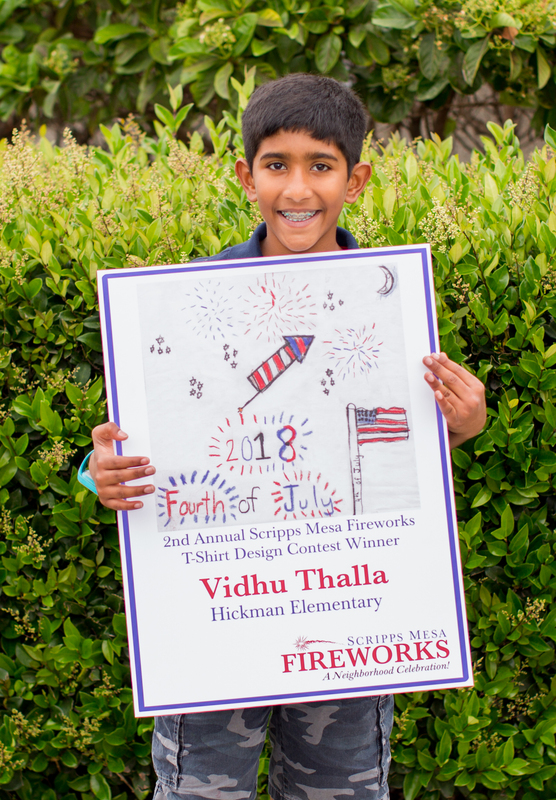 Congratulations to our winner Vidhu Thalla from Hickman Elementary School. Join our mailing list to stay tuned to our progress! Scripps Mesa Fireworks is a 501(c)(3) charitable organization supported by local community volunteers and organizations.